Today I begin the first of what I hope will be a daily, semester-long look at my classroom openers. These are not necessarily “bell-ringer” activities; rather they are pictures, videos, cartoons, or anecdotes intended to generate discussiom and set a positive mathematical tone for the class. This semester I have 2 sections of a 9th grade Honors Prob/Stat class, and 2 AP Statistics seminar classes (1/2 credit each), and many of the openers I present this semester will be geared towards high school 9th graders. I hope you enjoy them! Today is the first day of school. The 9th graders spend the morning in the building alone, participating in team-building activities and going on building tours before having lunch together. In the afternoon, there were 40-minute classes for all grades (we have only 4 class periods a day under block scheduling). It’s an exciting day for the freshmen, and they come in with many questions about school: What will class be like? Will it be the same as middle school? How much harder will it be? I want students to have that “awesome” moment, and set the tone that we will be setting off together on an exciting math journey. 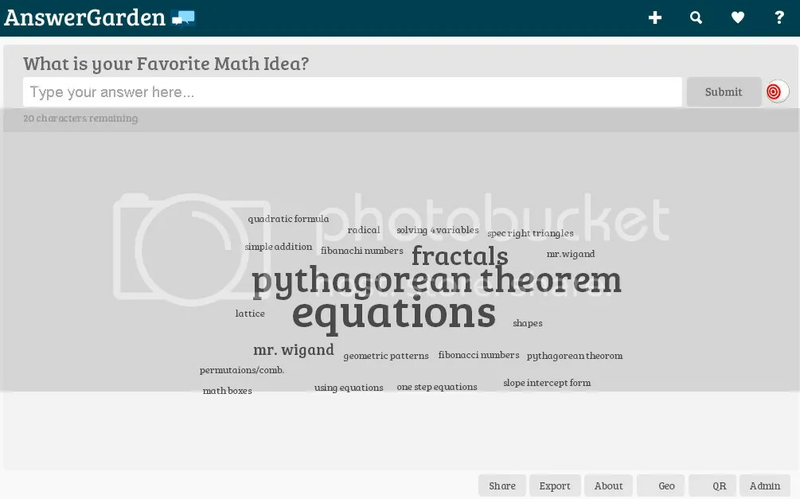 After the video, I asked the class to share any math ideas they observed in the video, and any experiences they may have had with them. A few noted the appearance of the Fibonacci Numbers, and one student recalled something about major chords (3rd’s and 5th’s) they had learned in their music experience. The Fibonacci numbers are an idea we will study later in our course when we get to sequences and series, and are one of my favorite math ideas for its richness and unexpected conncections. Fun discussions and reflections today, and a great springboard as we dive into the deep end of probability tomorrow! Coming tomorrow: Fascinating Power Problems!